Although you wouldn’t know it if you saw my shower, my hair care is fairly low maintenance. In other words, I love to try new products (and have quite the extensive collection), but the actual time and energy I put into my hair is minimal. I literally refer to my “styling technique” as “Goo and Go” (a topic for a different post). It doesn’t get much lower maintenance than that, especially in the wavy and curly hair communities. One of the things that I love about summer is that it gives me a chance to take my low-effort routine to the next (lower) level. While I hear many women complain about frizz, I celebrate the extra volume. In fact, summer is when I trade in my normal hard hold gels for something a little lighter. 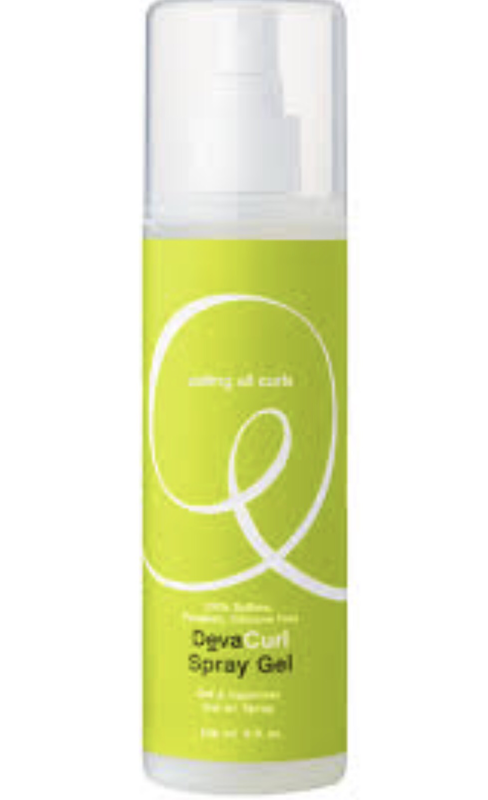 Most summers, that would mean Deva Curl Light Defining Gel or Curly Hair Solutions Curl Keeper. But this year I’m loving something different. 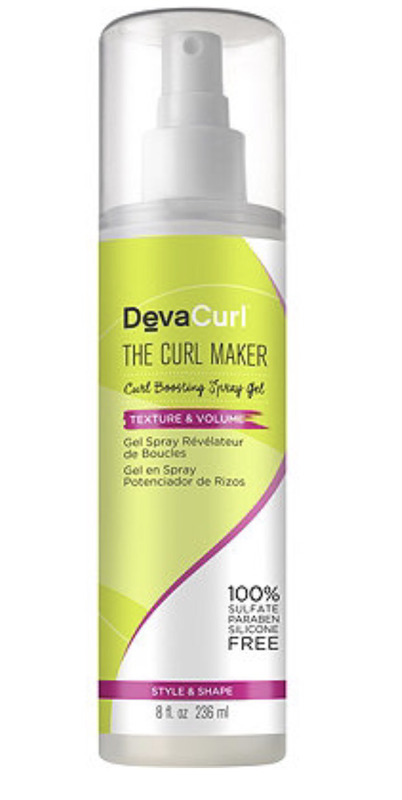 Deva Curl’s The Curl Maker Curl Boosting Spray Gel is a perfect example of my occasional inability to resist marketing. Deva originally launched their Spray Gel several years ago (I want to say around 2012, but don’t quote me). I had absolutely no interest. After multiple failed attempts, I had sworn off spray gels. My options eventually softened a bit after trying Jessicurl Gelebration Spray, but I figured that was just a really good product. Then I was in Ulta and saw that Deva re-did their packaging for their hair products, and in some cases actually re-named a few things. Suddenly, boring old Spray Gel was now The Curl Maker. Obviously I had to try it. My first few attempts (during the winter) were nothing to be excited about, but when I decided to give it another try a couple weeks ago, I was beyond thrilled with the results. I had curls, I had volume. Even more importantly, I had soft run-your-fingers-through-it hair. I had some extra frizz, but it really didn’t matter. And better yet, I’ve gotten similar results every time I’ve used it (and any curly girl will tell you that consistent results are not easy to come by). I’ve tried this product alone and with other styling products. So far, my favorite combination is using a very small amount of Ouidad Whipped Curls as a leave-in/style prep and then generously spraying The Curl Maker over top. Please note that Whipped Curls does contain amodimethicone, so it is not compatible with Curly Girl Method (I personally find amodimethicone to work well for my hair in moderation, so this is one of a handful of non-CG-friendly products I still have in rotation). 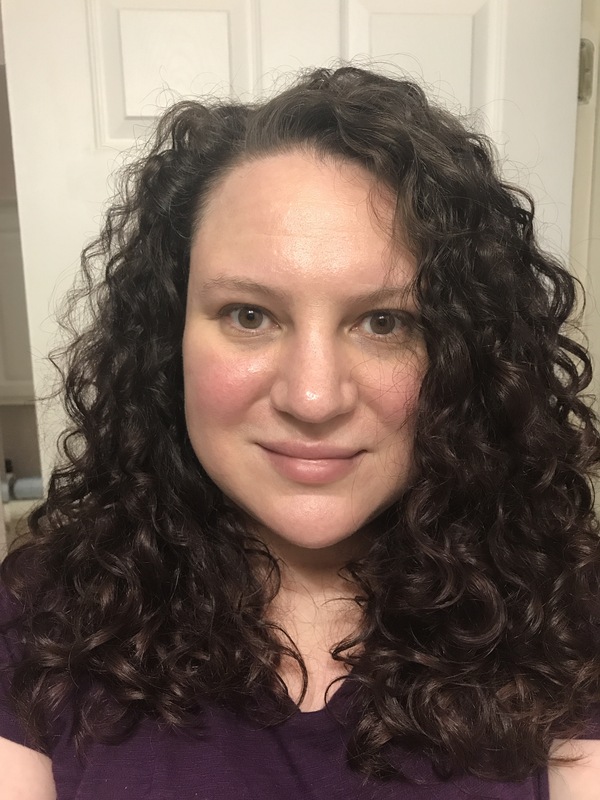 I would not recommend diffusing- I don’t find the hold strong enough to withstand a diffuser, but it allows for wonderfully bouncy hair even with air drying, which is why I find it such an appealing choice for summer. Do I have some canopy frizz? Absolutely. 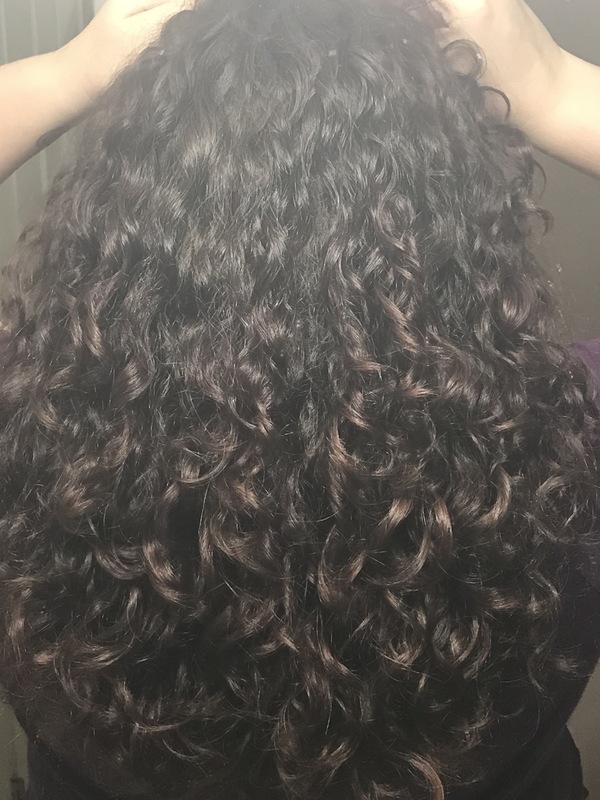 Do I have a bit less definition to my curls than I would get with regular gel? Certainly. But this product gave me results in the areas that were most important. My curls were bouncy, my hair had volume, and my hair was still touchably soft.